BLITZ race fees will only last one week! 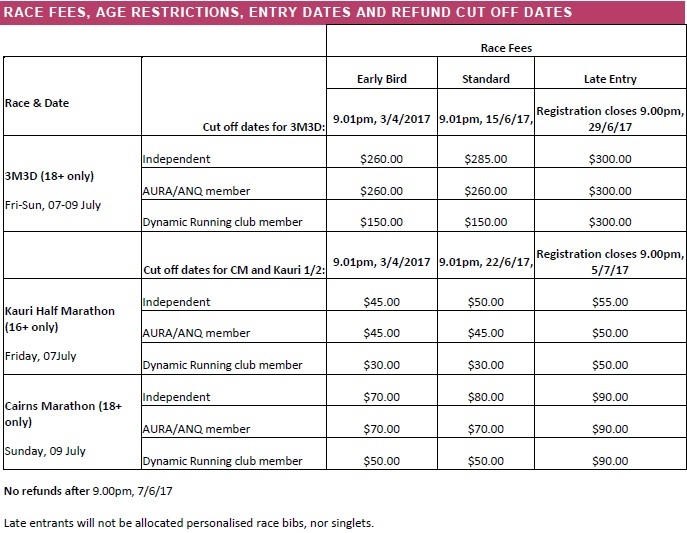 The Registration Blitz for the Tailwind Nutrition 3M3D will officially open online at https://regonline.activeglobal.com/3M3D2017 on Monday, 14 November 2016 at 7.00am, and last through to 6.59am on 21 November 2016. The time-zone is AEST or GMT+10, Brisbane Time. The first 10 people to register for each race will receive a 30% discount off the entry fee, while all other competitors registering through to the end of the Blitz will receive a 20% discount. If you miss out, you can access the early bird offer until 9.00pm on 3 April 2017. Current Dynamic Running club members, remember to use the discount code DRmember. 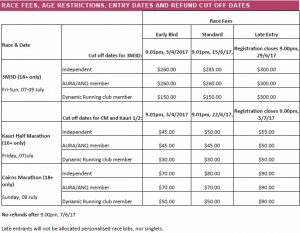 Ignore the Blitz as all race fees for club members are cheaper than even the Blitz fees!